Mashups of the most popular franchises are always welcome when done right. 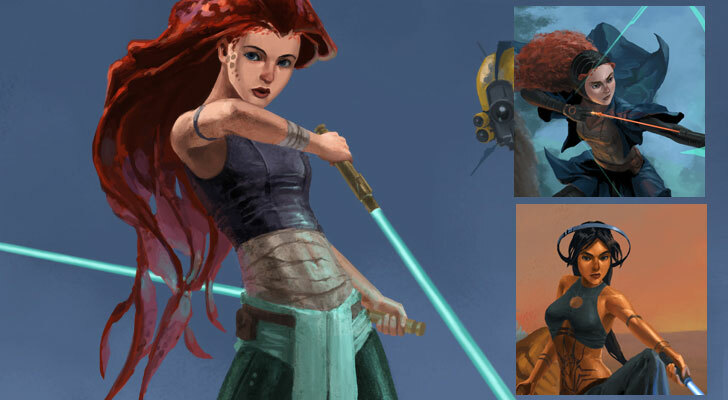 When Disney Princesses reimagined as Jedi Warriors by Graphic Artist Phill Berry, I decided to take a look, and the outcomes are entirely amazing! Including the famous Jasmine, Rapunzel, Ariel, and even Belle. I adored the innovative utilization of Rapunzel’s hair as light saber whips, and having Ariel’s legs automated (which I didn’t get at first look) was moving too. Counting the sidekicks as droids or animals more at home in the star wars universe grounds things a bit, and somebody needs to make that fumble ramble into a statue or something asap. The Belle and Beast combo is my top pick, however I’m now inclined toward that film. He could likewise be comfortable in the Shadowrun universe, so perhaps somebody needs to take these characters and keep running with that thought too. I know, I’m a fan of Phill Berry now.